Saving the world isn't going very well for Elf Girl and Raven Boy. 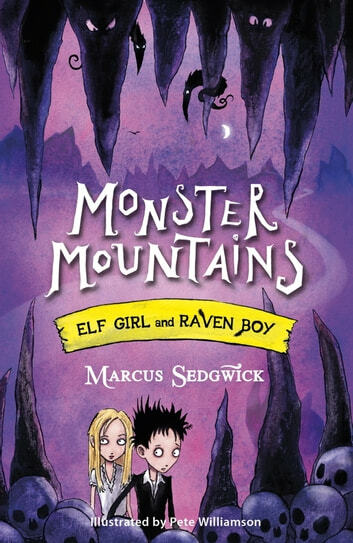 They've left Fright Forest and crossed a huge plain to the worryingly named Monster Mountains, where they find a sign telling them to Turn Back. They really shouldn't have ignored it! It's not the strange wailing noises they hear in the dark, or the gigantic yeti who wants to eat them for breakfast that they find alarming, so much as the crazy wizard, Jeremy, who seems intent on adding Elf Girl and Raven Boy, not to mention Rat, to his collection of all too life-like stone statues.